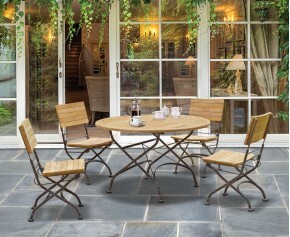 A garden favourite, this outdoor bistro table and 4 armchairs set is named after the French restaurants in which they first appeared. 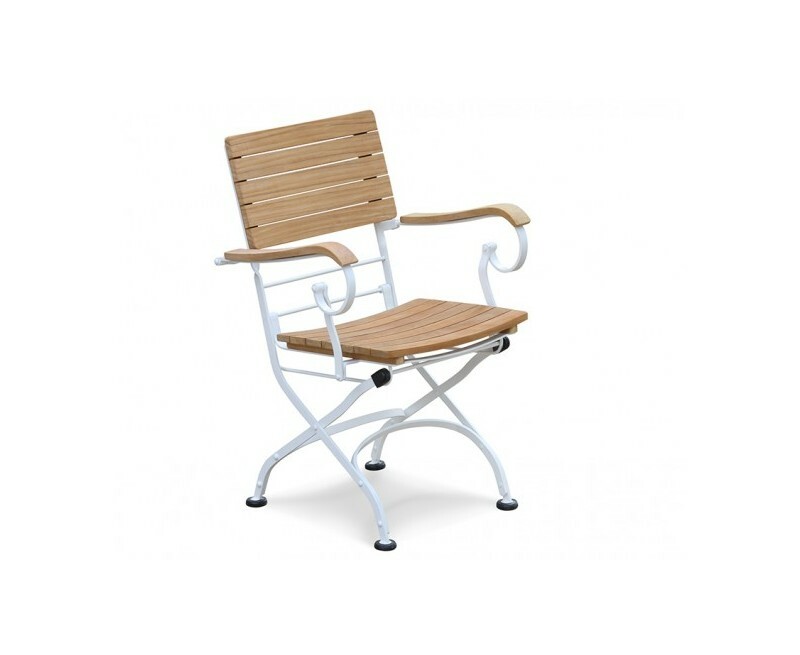 And now, they’re available with impressive white frames for added flair. 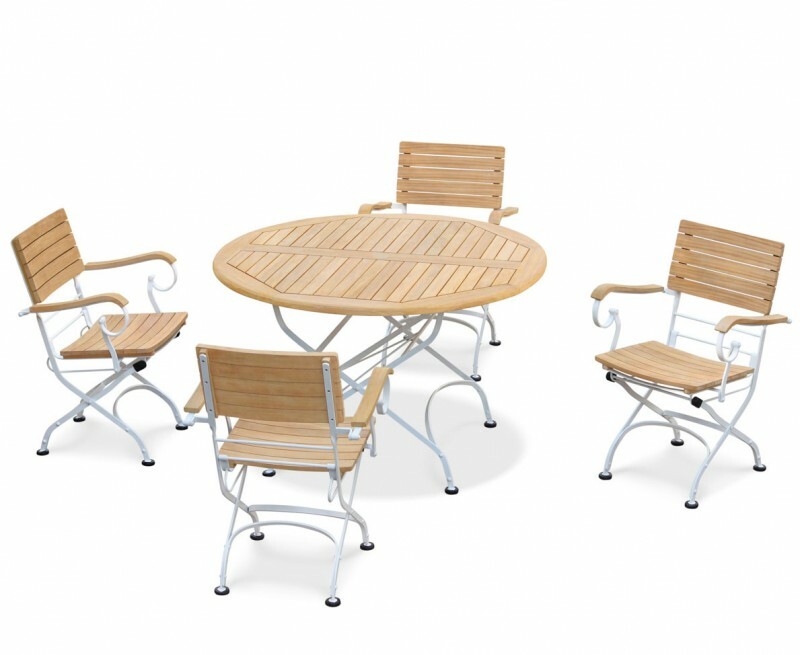 This bistro table set with 4 armchairs has been crafted to the highest spec from sustainably sourced A-grade teak and galvanised steel, painted white for a fresh, contemporary feel. 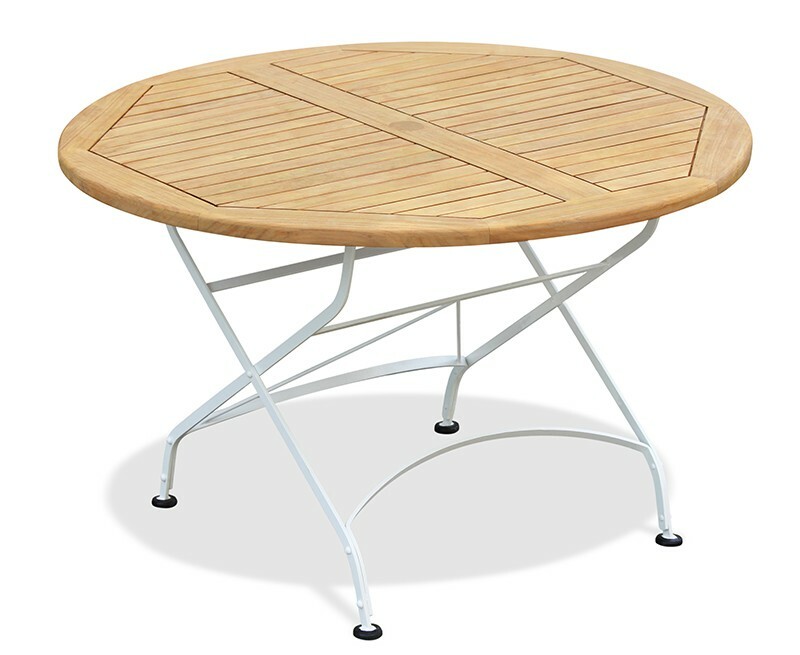 The teak and metal complement each other to create a stunning focal point for your space. 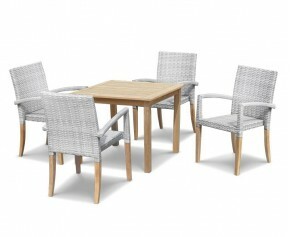 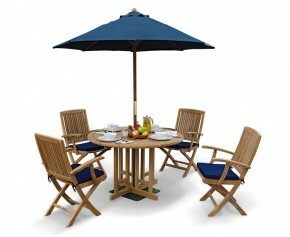 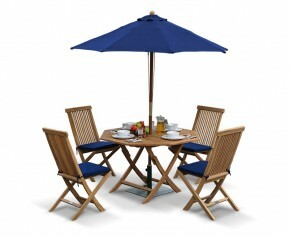 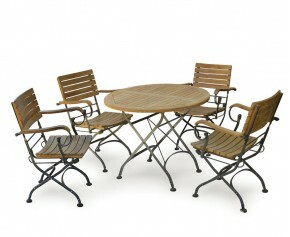 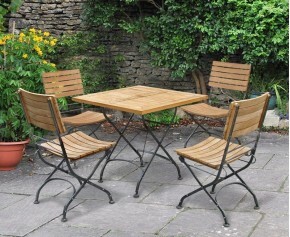 This bistro 4 seater set can remain outside all year round no matter the weather conditions. Requiring only minimal maintenance, this outdoor patio bistro dining set is equally suitable for both home and civic use, and is often used in commercial settings such as cafés and restaurants. 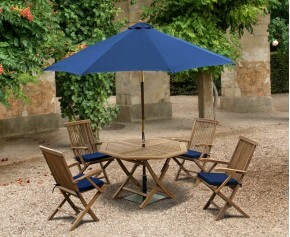 It is easily folded flat so you can store it away should you wish to. 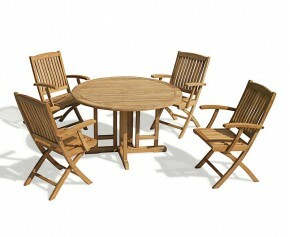 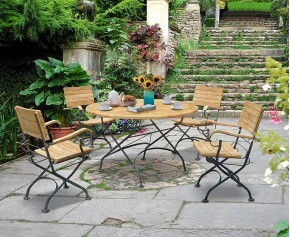 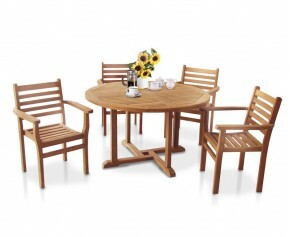 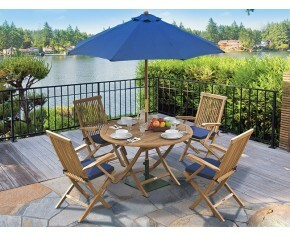 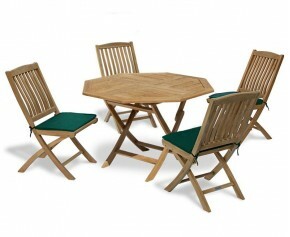 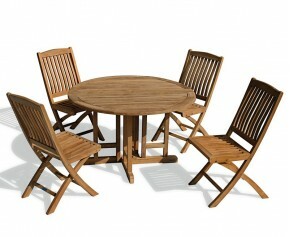 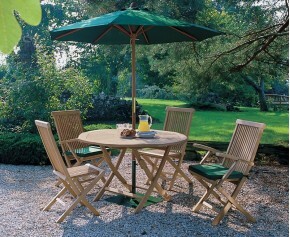 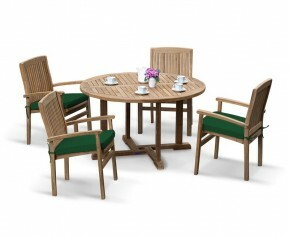 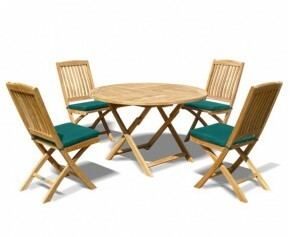 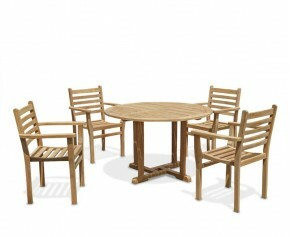 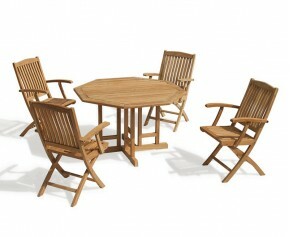 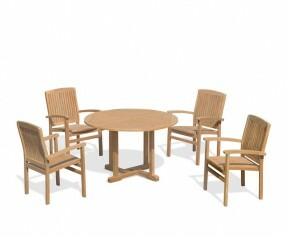 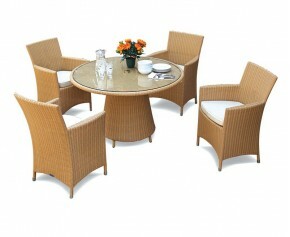 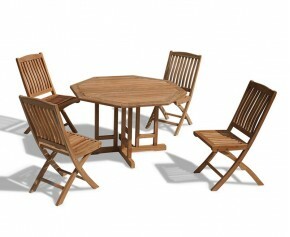 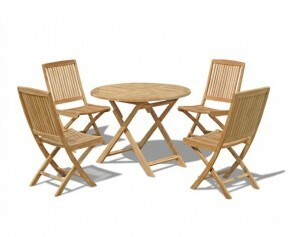 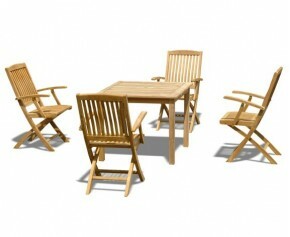 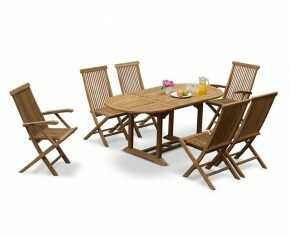 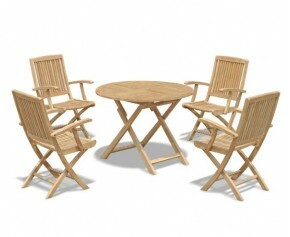 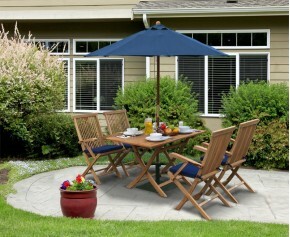 This teak bistro table and 4 armchairs set will be delivered pre-assembled for your convenience.